Shirley Malcolm, Head of Education and Human Resources for AAAS, kicked off the Vision and Change in Undergraduate Biology Education plenary session with a welcoming talk. She started with the importance of biology in our lives and went through various AAAS resources – particular issues of Science, Thinking Evolutionarily, as well as the Vision and Change Report. She talked about the fact that there have been many past “calls to action” (Project 2061, to the NRC report, to the Next Generation Standards) but she says that she’s never felt more optimistic about a call to action actually working. Project 2061, for example, had “a lot of influence but not a lot of uptake”. She warns that this kind of change is not an easy process because, of course, it’s not just about the science. But she sees Vision and Change as a different approach to change. A way to transmit our values and apply pressure from the top down, as she put it. Additionally, she thinks that we now have an expanded and expanding base of knowledge, new insights about the way we learn, new tools for research, and new teaching/learning tools. She also spoke of a compelling convergence – with the NRC Science Framework, AP Biology revised curriculum, MCAT reform, and V&C II all advocating for the same ideas. Robert Dennison as Charles Darwin. 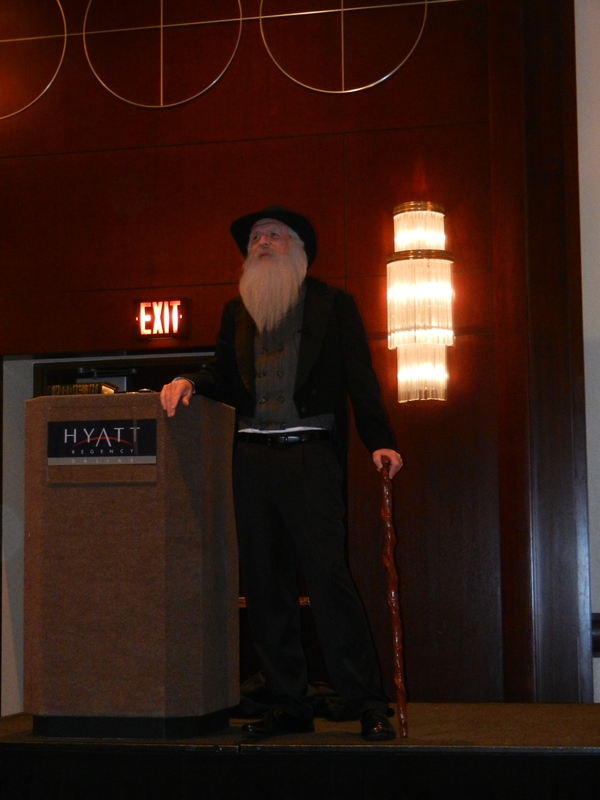 The next session I attended was Robert Dennison, appearing as Charles Darwin. I know it sounds a bit corny, but really, it was an absolutely lovely thing. As you can see in the picture, he takes on the persona of the elder Charles Darwin, complete with full beard and cane. Dennison really “becomes” him – talking off a script, but clearly improvising and entering the mindset of the times and his character. I loved to hear his descriptions of “going beetling”, his fascination with geology (“I began to wonder, why aren’t all scientists geologist?”), and describing the amazing opportunity to join the voyage of the HMS Beagle. He goes on to describe the journey, his collections and adventures on land. He talks about his family – the impact of the death of his daughter – and, of course, the writing and publication of “The Origin” (as he put it)….”It is really the chief work of my life.” At the end, he entertained questions from the crowd and handled them beautifully. Questions like, “Please settle the record for us, were you hired on the Beagle as a companion, a naturalist, or a physician?” “What do you think of Social Darwinism?” “Do you know a man named Gregor Mendel?” When asked more about his home life, he shifted easily to a series of a photographs of Down House. Photos of the home, his office, the sand walk, his microscope, a portrait on the wall… “And this is, of course, a portrait of me in front of a portrait of me.” Wonderful. I sat in on some of the Introductory Biology Project sessions but found the content of them fairly obvious and not as helpful as it might have been. 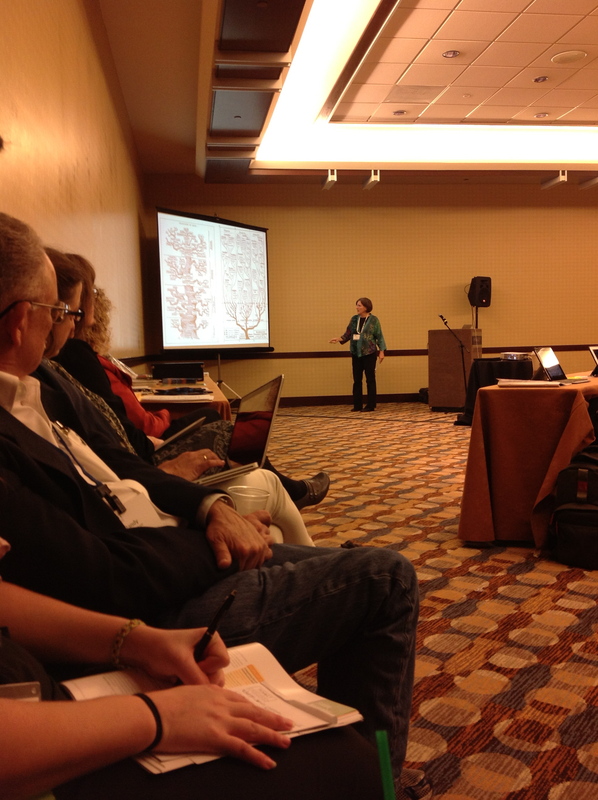 I came in and out of the Evolutionary Transformation sessions, which went on all afternoon. Terrific talks from Lynn Nyhart (science historian), Betsey Dexter Dyer, Patrick Phillips, and David Hillis. 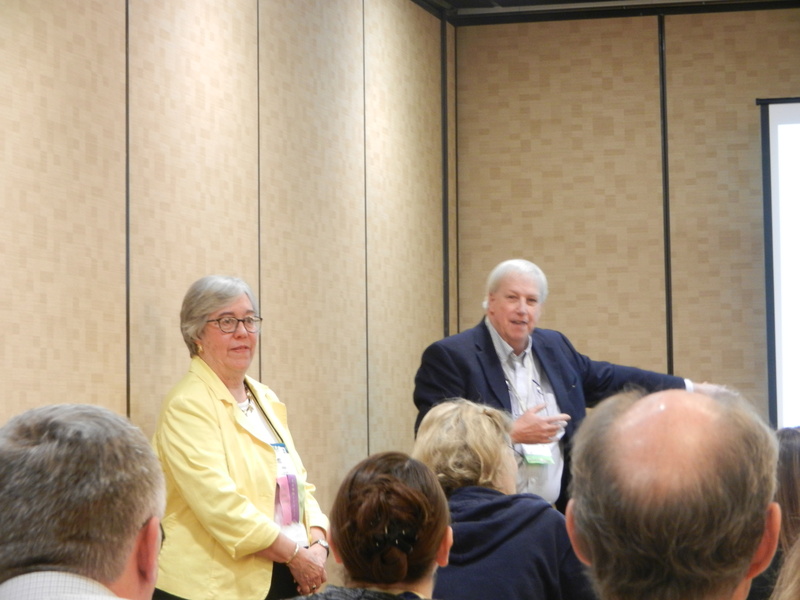 Peter and Jean DeSaix (UNC Chapel Hill) gave us a really intriguing session called, “My Sister is a Polar Body”. Peter and Jean are the parents of so-called identical twin girls. At their birth, the attending physician called them identical twins because they shared a chorion. But, as they grew, it became clear that they were not identical (different hair and eye color, different blood types, etc). The DeSaix’s feature their daughters as a perfect case study for examining the concepts of “twin-ness”, meiosis/mitosis, gamete formation, and inheritance. They walked through a number of possible scenarios to explain the egg and sperm origins of their daughters…first polar body, second polar body, which sperm, etc. all of which made everyone in the room really think. 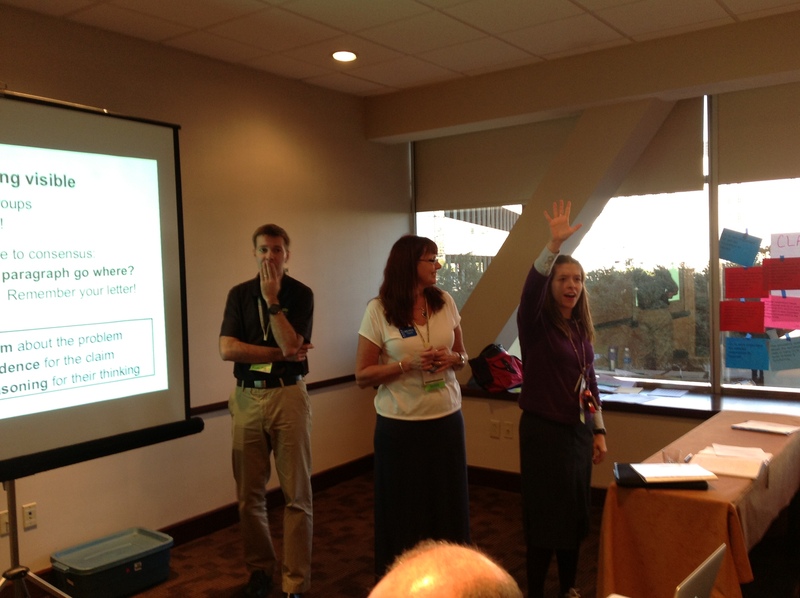 They will be posting their slides (which were terrific) on the NABT web site. Case study drawings from “My Sister is a Polar Body”. 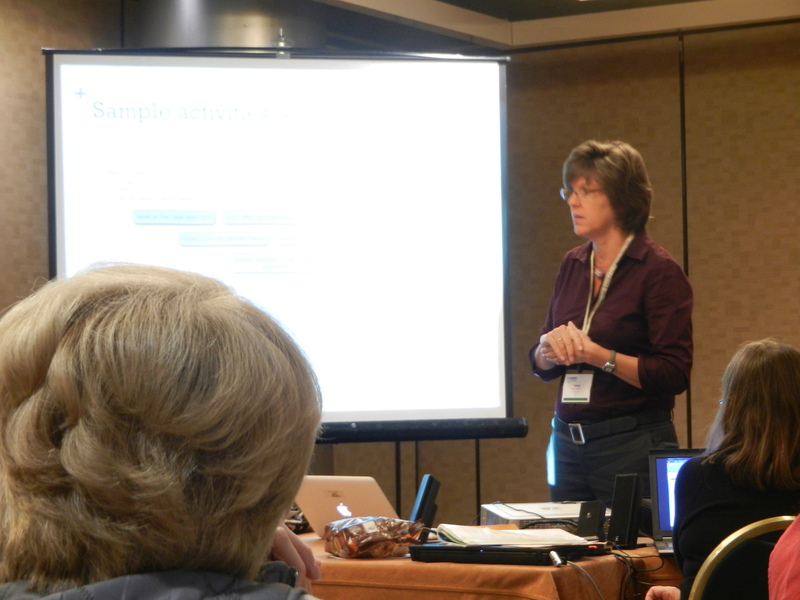 Then I went to Caroline McNutt and Bonnie Taylors (Schoolcraft College) session on “The Hybrid and Flipped Biology Classroom”. They’ve developed a hybrid non-majors biology course at Schoolcraft that only meets face-to-face once per week, the rest of the course is done asynchronously online. They modified their traditional classroom materials to create special materials for this course – online activities, videos, PPT lectures, self-assessments, discussion boards. The web labs and tests are still done in person, on campus. Their pilot study of the course didn’t look good – poor retention and poor evaluations. The student perception was that this hybrid class would be “easier” so they had to work hard, right at the front, to combat that misunderstanding by placing a strong emphasis on personal discipline and commitment. 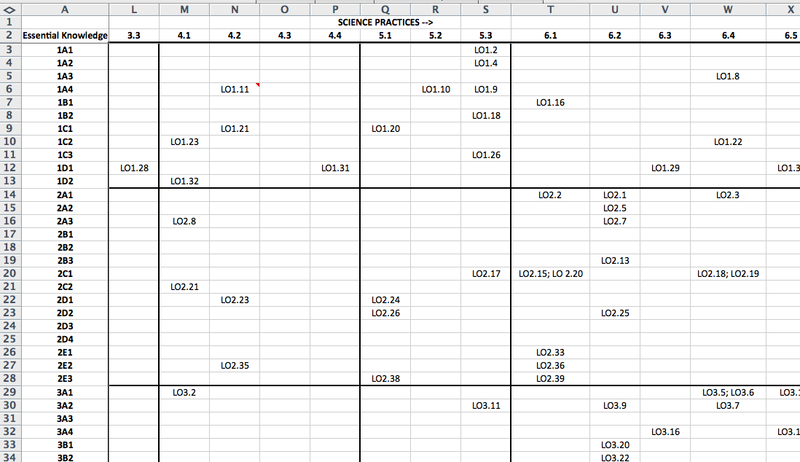 After making adjustments (revised PPT slides, use of the MasteringBiology online homework system, and some shifts in their scheduling and logistics) their ratings improved. It struck me, listening to them, that their innovations and methods would work well for the “flipped classroom” (that still meets F2F) just as well as it would to a distance learning or a hybrid class. And now, to collapse. What a day. 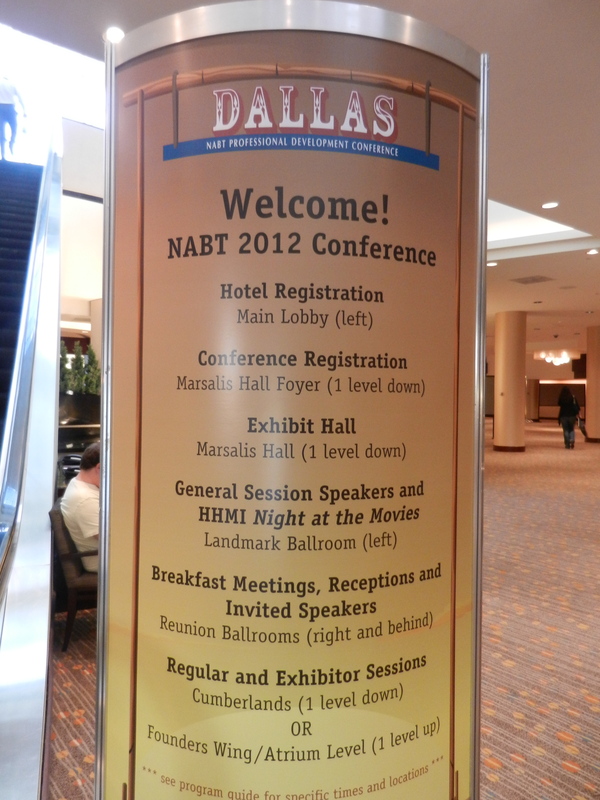 Welcome to the Dallas NABT. I started the day with Eli Meir’s (from SimBio) Mitosis Explored and Meiosis Explored, new tutorial/simulation products that lead students through videos, text, and animations to learn about mitosis and meiosis and then allows them to experiment with simulations where they determine the steps, intervene with chemical agents, investigate mechanisms, and assess themselves. They also showed their EcoBeaker simulations and talked about new ones in the works – very robust and interesting teaching tools. From there I divided my time between a Diane Sweeney/Eileen Gregory session on Assigning Online Homework and an interesting session on integrating sustainability questions into STEM teaching, with Susan Musante from AIBS. Eileen and Diane did a great job of talking about the way that they use the MasteringBiology online homework system (from Pearson) with their students. They stressed the importance of tweaking the system so that students get points for their effort, points taken away for late submissions, and extra credit to urge them along with the assignments get tough. 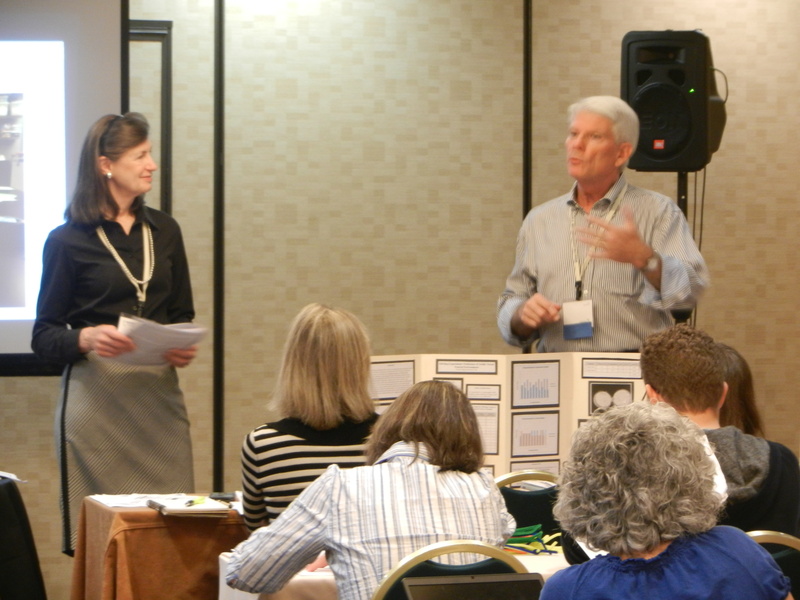 Since Eileen teaches a college biology course and Diane teaches AP Biology, it was particularly interesting to see them present together and note similarities between their experiences and insights. 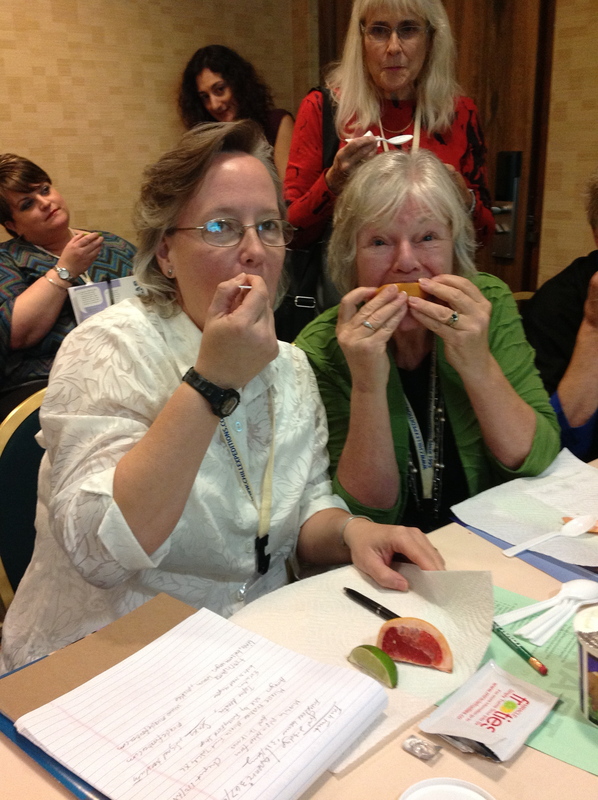 Next up was a fabulous session called How Do We Know? from Kirstin Milks and Stephen Traphagen (both new-to-teaching). 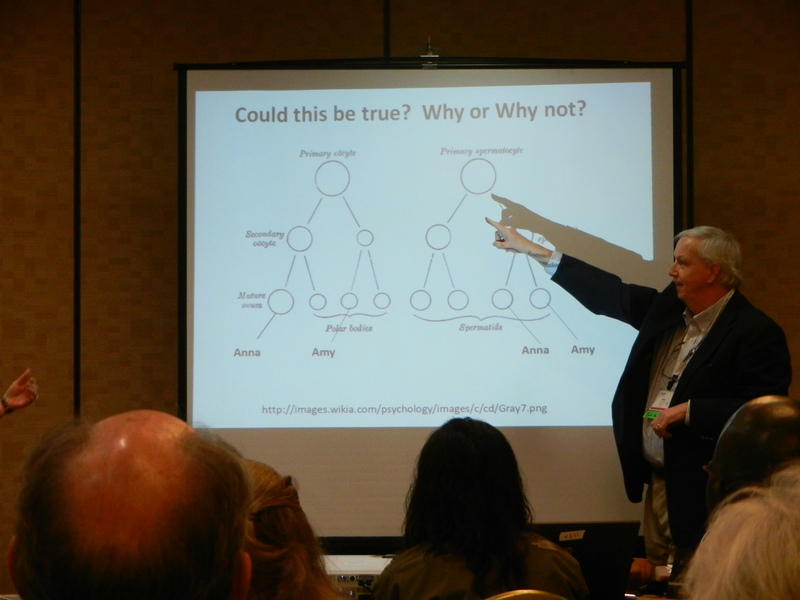 They led us on a wild and exuberant ride through a Claim-Evidence-Reasoning framework. We worked in small groups to evaluate actual students responses to assessment items, identifying the students’ answers as “claim”, “evidence” or “reasoning” and then comparing our determinations with those from the other groups. Interesting to see the variation and how important it was to clearly define what we mean by these terms. A “claim” being what is this about. “Evidence” is how do you believe it and why? “Reasoning” is about interpreting what does the evidence mean, connecting the dots, and tying the claim to the evidence. Very interesting and, I would think, helpful to do with students. 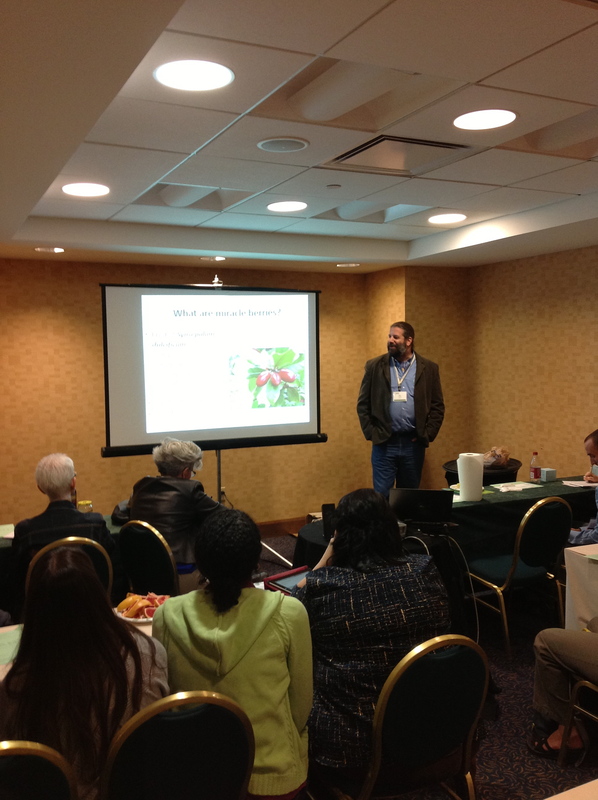 Then a terrific session from BSCS called Understanding the Science of Type 2 Diabetes. Good activities, great data, and lots of good discussion with April Gardner and Anne Westbrook. 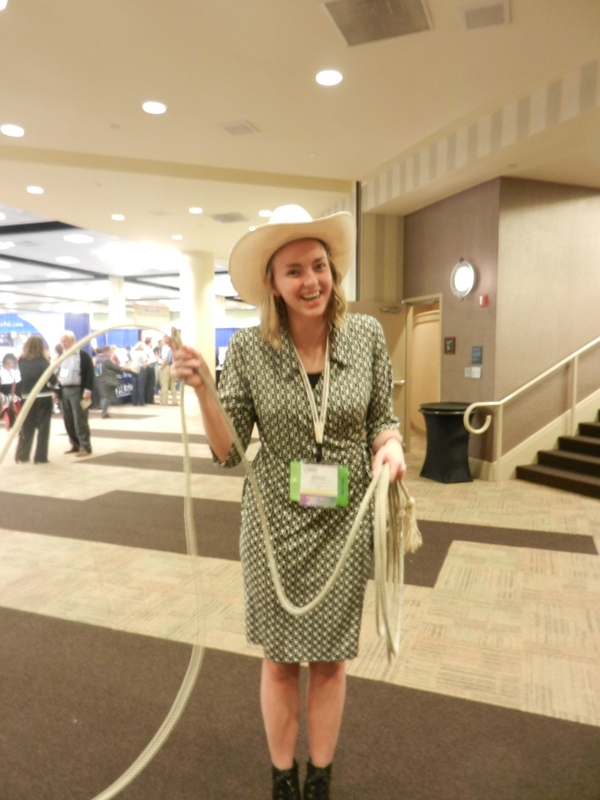 At 4:00 the exhibit hall opened and there was lots of chaos and fun as we prowled the booths, tasted appetizers, and enjoyed a few free drinks on the NABT. Highlights of the cocktail hour? 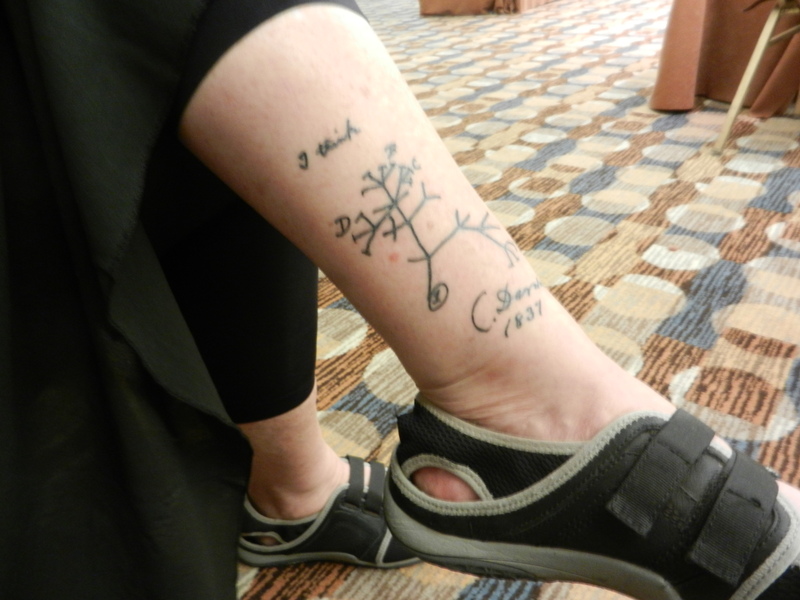 Two young biology teachers, one showing the other how to work a lasso and a biology teacher who had Charles Darwin’s “I think…” diagram tattooed on her lower leg. Wow. Now that’s dedication. 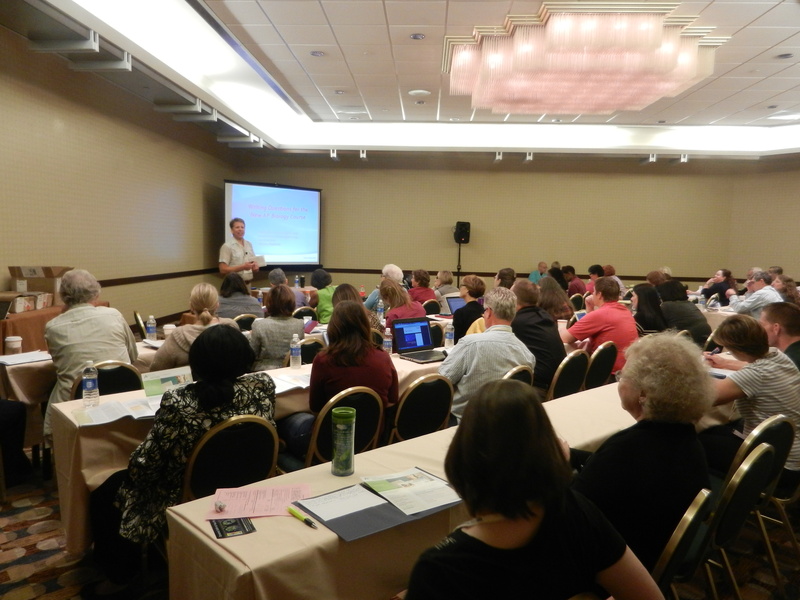 Opening night at the National Association of Biology Teacher’s (NABT) meeting in Dallas, Texas. This is the annual meeting of middle, high, and college biology teachers who come together to exchange ideas, share insights, and improve the quality of biology teaching and learning. I love this meeting – so many good people and ideas. 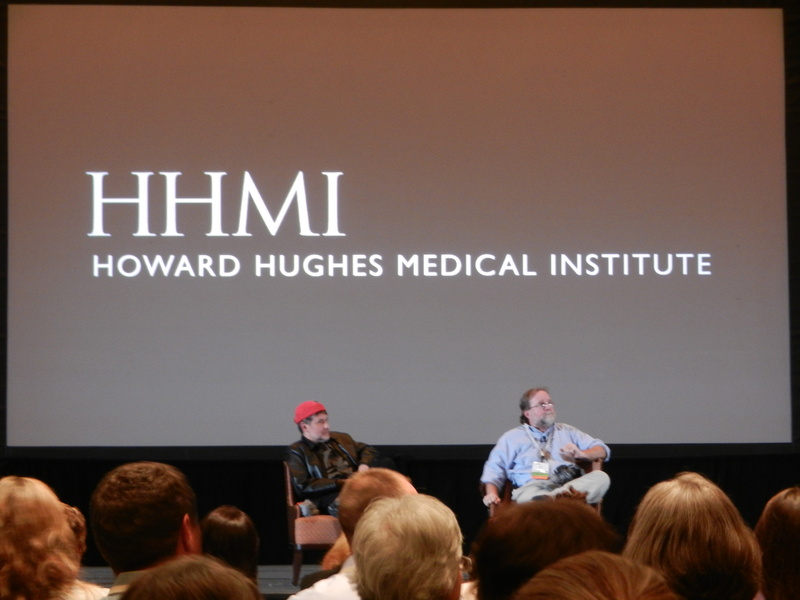 The meeting opened with a welcome reception and a special event – HHMI Night at the Movies. For the second year in a row, the Howard Hughes Medical Institute has kicked off the conference with a red carpet screening (complete with popcorn) of new short films that tell amazing biology stories. Sean Carroll, VP for Science Education at HHMI and author of Into the Jungle, introduced the evening, and the film, with a reminder that it is the stories of science that compell and bind us. This year’s film is called The Day the Mesozoic Died. It tells the remarkable story of one science’s most compelling mysteries – what happened to the dinosaurs at the end of the Cretaceous period? The 30-minute film showcases the work of geologists Walter Alvarez and Jan Smit, as they piece together the evidence to support the Alvarez Impact hypothesis – that a huge asteroid struck the Earth 66 million years ago, triggering a mass extinction of foraminifera, plants, and animals – including the dinosaurs. The movie was excellent – science storytelling at its best with terrific cinematography, a compelling storyline, clear writing with just the right amount of detail. A talk with the film’s producers, Sean Carroll and Dennis Liu. After the screening, Sean Carroll and Dennis Liu, Program Director of HHMI’s Public Education Initiatives (and the man behind HHMI’s annual Holiday Lecture Series), took questions and comments from the audience. 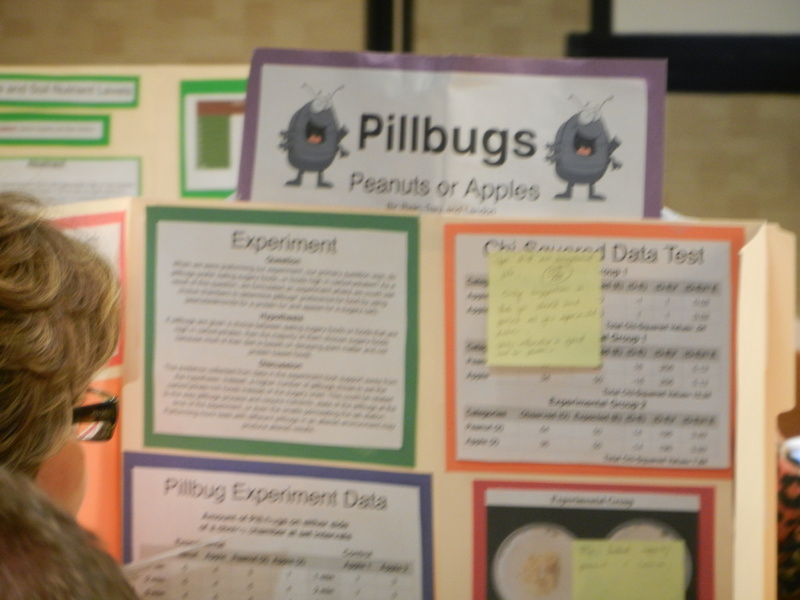 Each NABT participant was given a copy of the DVD to take back to their classrooms. Thank you, HHMI – very nicely done. 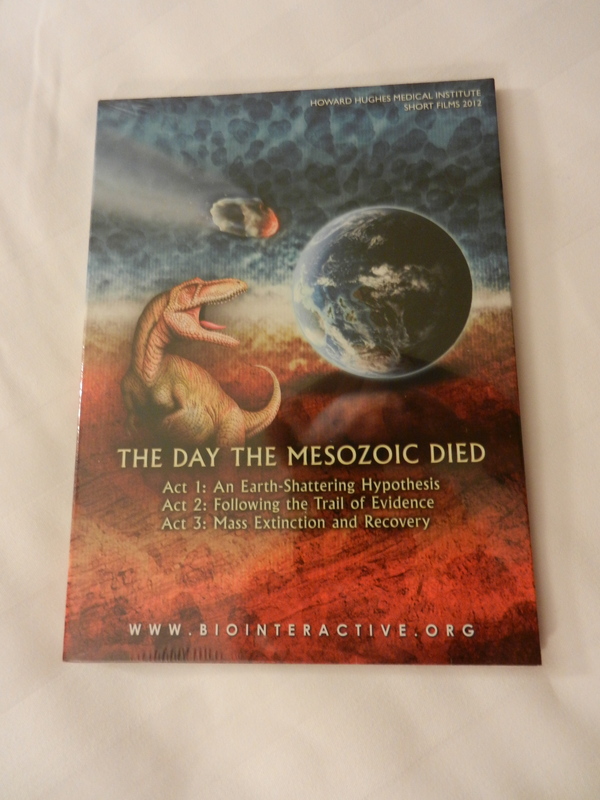 You can watch the movie online here: The Day the Mesozoic Died.